Three girls discuss aggressive compliments on Instagram. 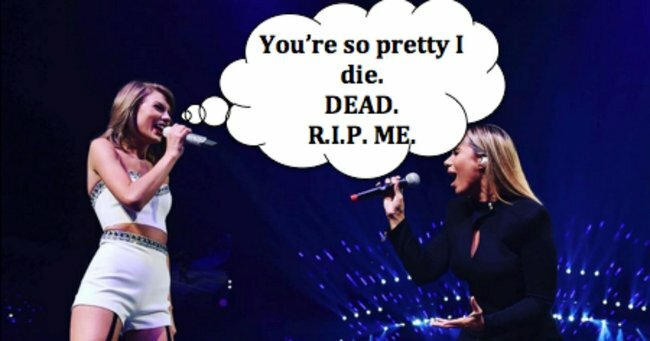 The strange reasoning behind aggressive Instagram compliments. It’s interesting to think that if Tina Fey’s Mean Girls was made today, rather than ten years ago, it would be a very different movie. While our obsession with where people stand in the social hierarchy hasn’t changed, the complex politics of friendship are now being played out online, and it’s #fascinating. Interactions between girls are strengthened and challenged in social media environments, with Instagram providing a particularly nuanced view into the social lives of teenage girls. “What even? You’re perfect. I hate you”. Kylie, I die. Your eyebrows are so on fleek I’m literally dead. Image via Instagram @kyliejenner. These complimentary comments are often met with equally bizarre responses. Most of us simply roll our eyes and concede that we no longer understand what ‘kids these days’ are talking about. But last week, on the popular podcast This American Life, three teenage girls were given a platform to explain why they are constantly (and rather aggressively) telling their friends they are beautiful on Instagram. To these girls, Instagram represents a complex social map that is constantly changing in front of them. 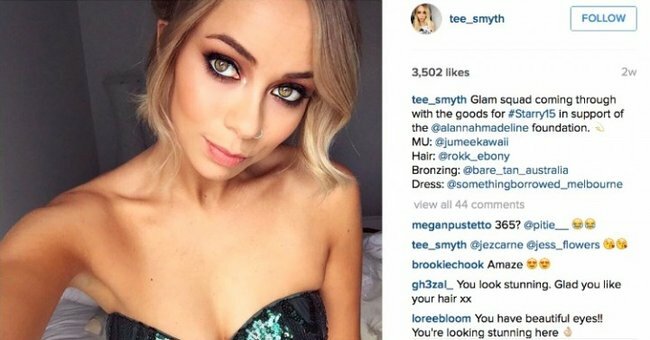 Tully Smyth is a ‘social media influencer’. That means people ‘like’ her for a living. Image via Instagram @tee_smyth. In the past, our social world was harder to navigate. The politics of female friendship, in terms of who’s up and who’s down and who’s close to who was important, but it was far less obvious. Now, social media apps like Instagram provide a real-time diagram of where everybody stands with everybody else. Popularity has been quantified. 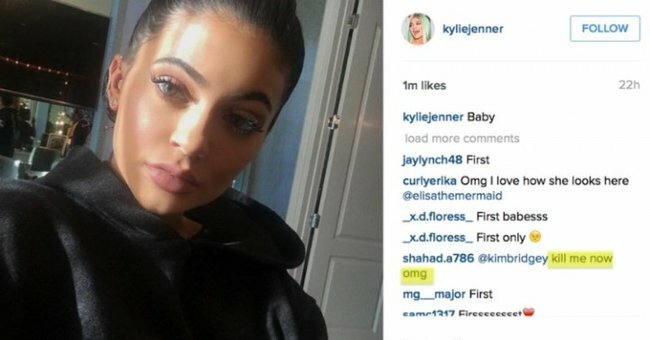 It’s numerically evident by the number of likes that accompany a selfie, and the comments give an even richer insight into where people stand within the social hierarchy. Jane explains that when friends don’t chime in with support, you start thinking, “This isn’t even good enough for, like, my best friend“. 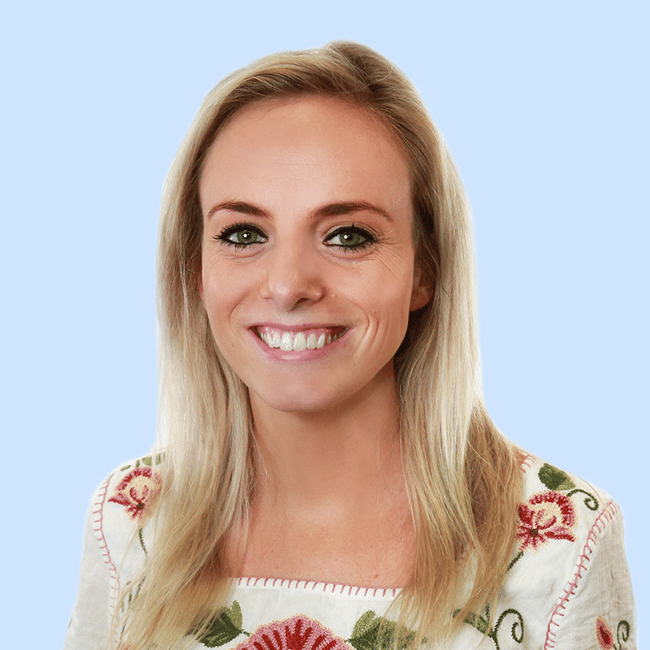 She describes the anxiety that follows, “What if everybody who’s seeing it thinks that we’re not actually friends because they’re not commenting on it”. 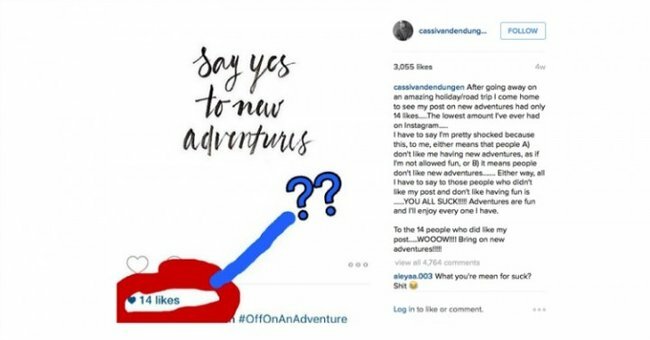 Last month, model Cassi Van Den Dungen very publicly expressed her rage when her Instagram post only received 14 likes. It was glorious. Image via Instagram @cassivandendungen. To these girls, the online behaviour of their friends is very real. Being virtually ignored on Instagram is tantamount to being ostracised in any other social situation, and it has serious consequences for the dynamics of their friendships. Despite the intricacies of their online interactions, the girls are remarkably aware that Instagram is ultimately a platform for social evaluation. By posting a selfies, they’re willingly putting themselves ‘out there’, and trying to present their best self. Julia, who is 13, says, “It’s like I’m – I’m a brand”. Ella explains, “You’re trying to promote yourself”. As a listener, it’s viscerally disturbing to hear a 13-year-old girl describe herself as a ‘brand’. It’s the type of comment that is routinely dismissed as the typical self-involved and narcissistic perspective of an adolescent girl. But by broadcasting the girls’ descriptions of the way their social world plays out digitally, host Ira Glass does a service to the culture of women. He implies that if girls are taking these interactions seriously, we should take them seriously too. The culture of young girls has been largely ignored in public discourse, despite the apparent ubiquity of certain features. After all, as bizarre and trivial as Instagram dynamics may seem, they are not entirely new. We can all remember the daunting experience of starting high school and attempting to forge an identity that our peers would approve of, and the often cringeworthy lengths we went to in order to be liked. “She looked so beautiful, I literally died.” Rachel Zoe is 44, and died multiple times before most teenage girls were even born. The current generation of young girls did not consciously decide that self-promotion was important to them, or that the greatest compliment one could offer a female is that they are beautiful. They’re just part of the generation that moved these dynamics online. There is a lot being said between teenage girls in the world of Instagram, and these interactions are laden with meaning about gender, social politics, and power. The digital age means that the lived experience of young girls is more transparent than ever before. We have unprecedented insight into the language that defines their social world, and if we want to empower girls rather than dismiss them, we need to learn how to read it.